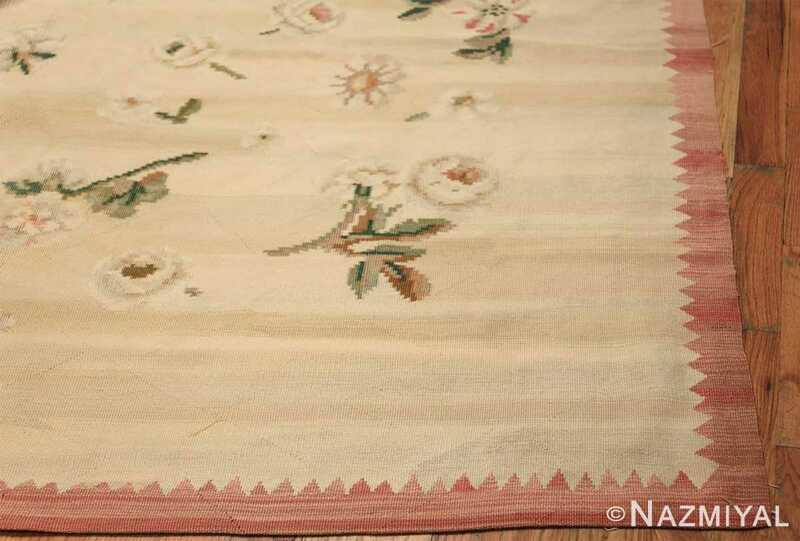 Vintage Romanian Bessarabian Kilim Rug 48872, Country of Origin / Rug Type: Romanian Rugs, Circa Date: Mid 20th Century – A soft beige yellow landscape defines the background of this Bessarrabian Kilim Rug, as if it were a wondrous flat plain set alight by the sun’s rays. 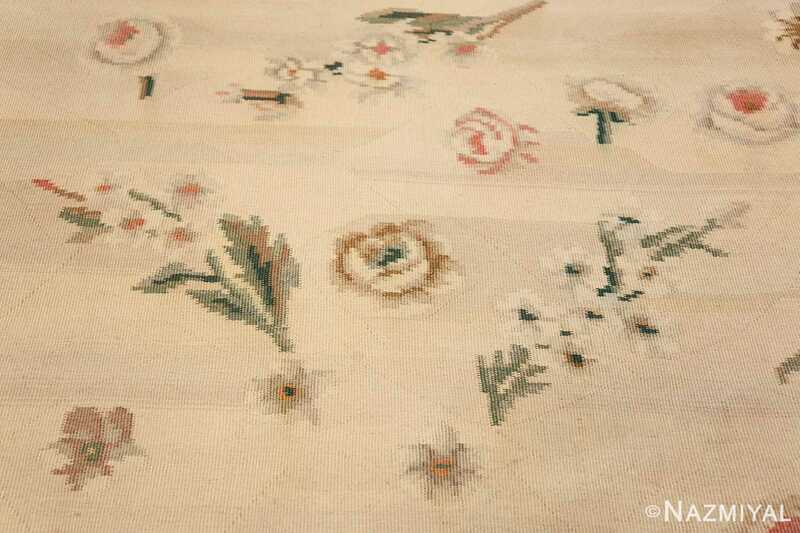 Several vibrant green flowers and plants dot the foreground of the masterpiece, arranged in no particular order around the background. 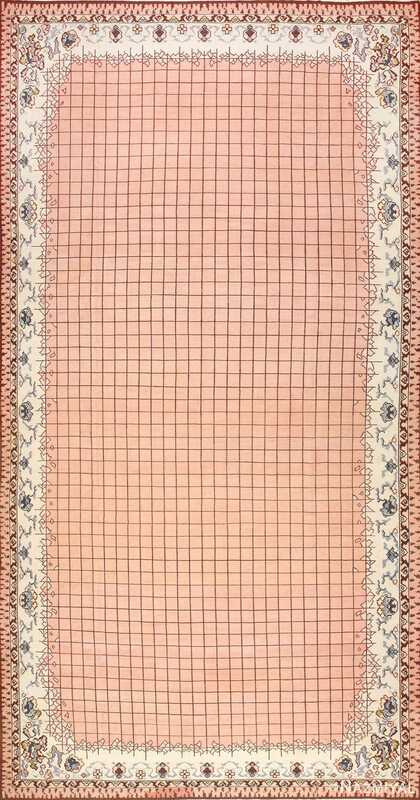 A simple and thin vermilion border surrounds the heart of the Romanian rug, which results in an even more fiery display of color. 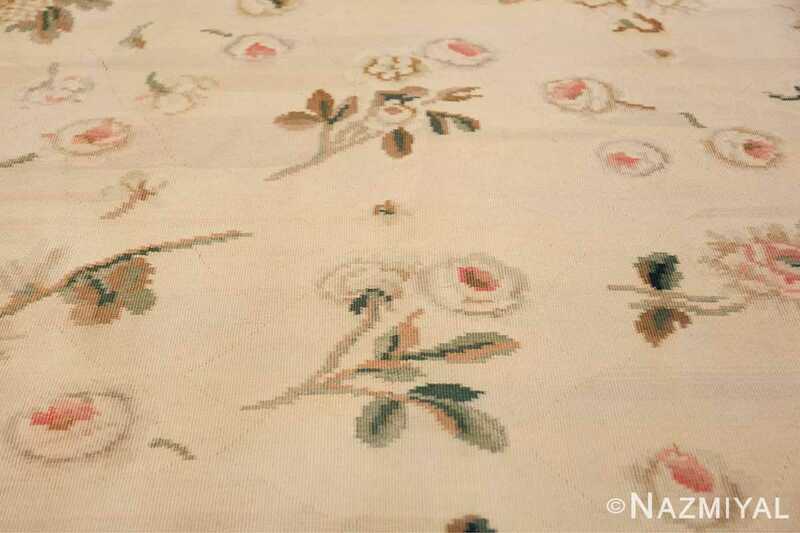 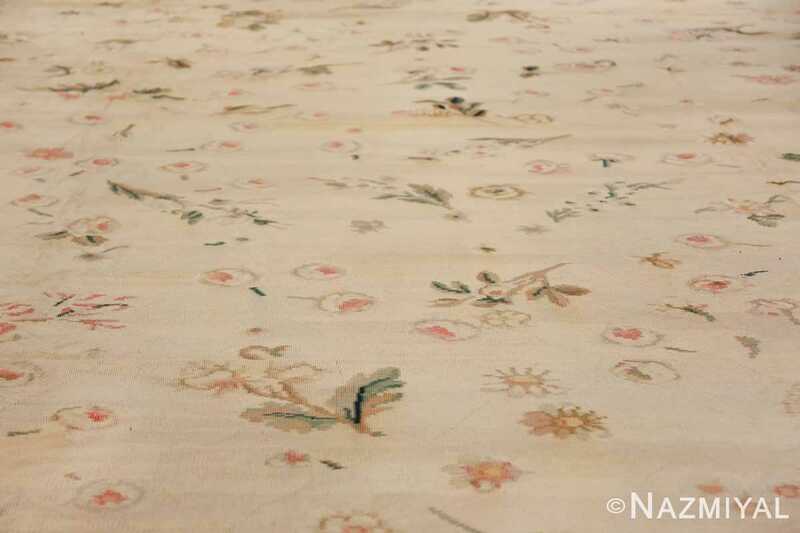 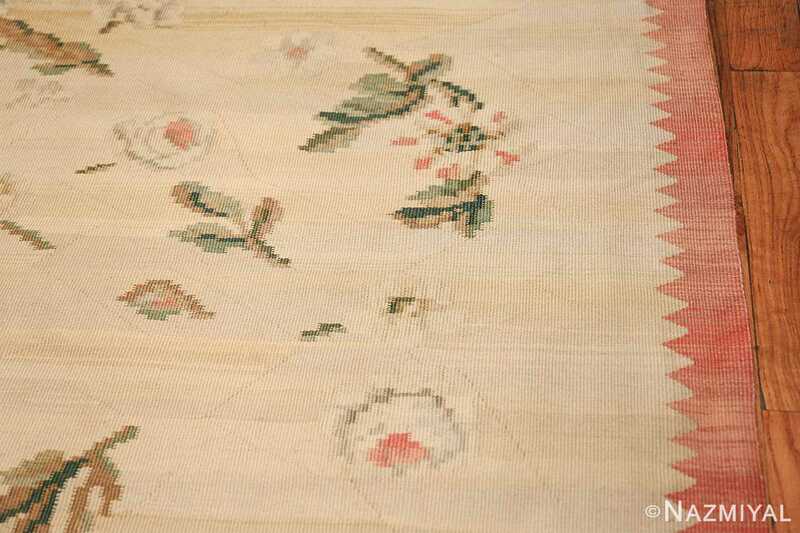 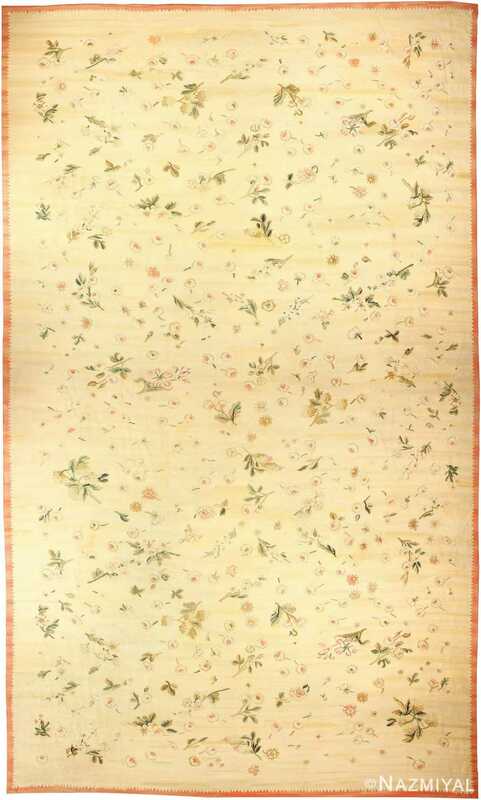 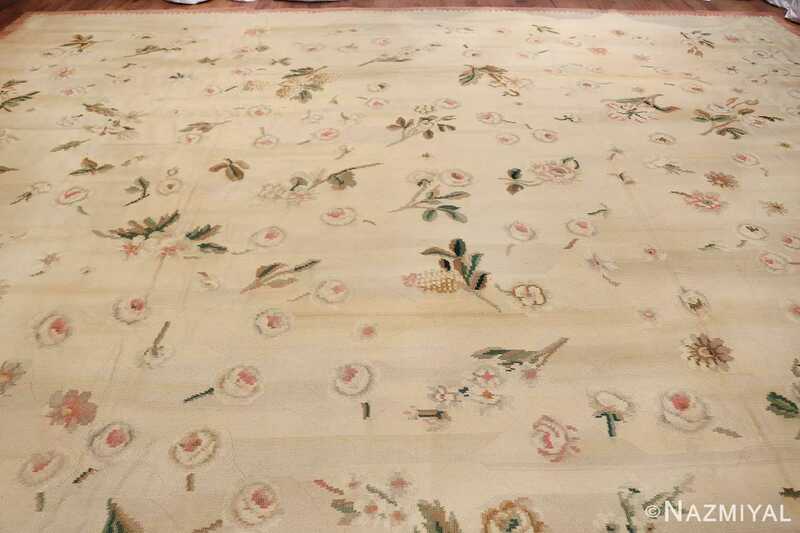 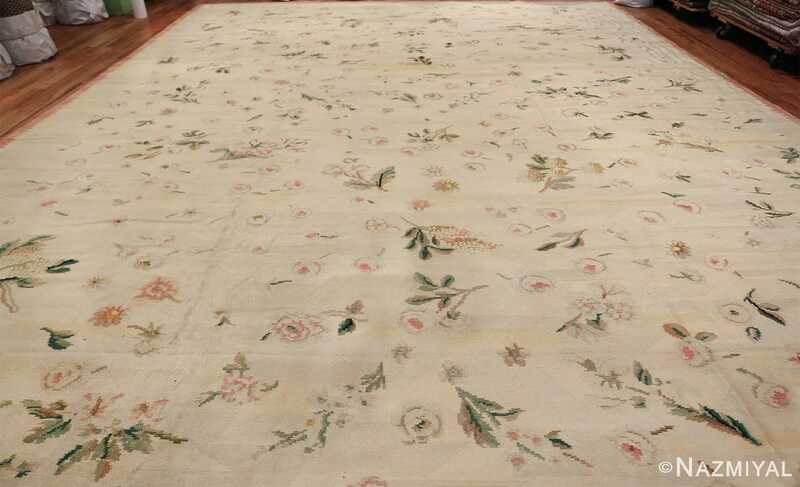 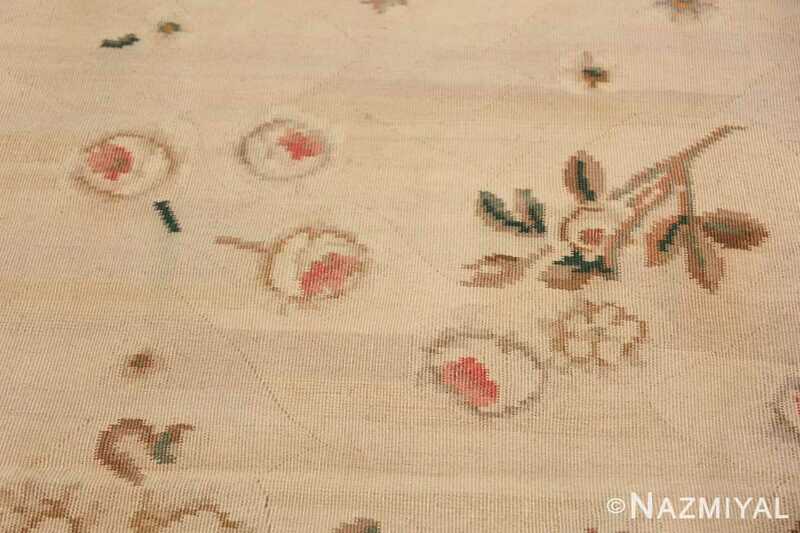 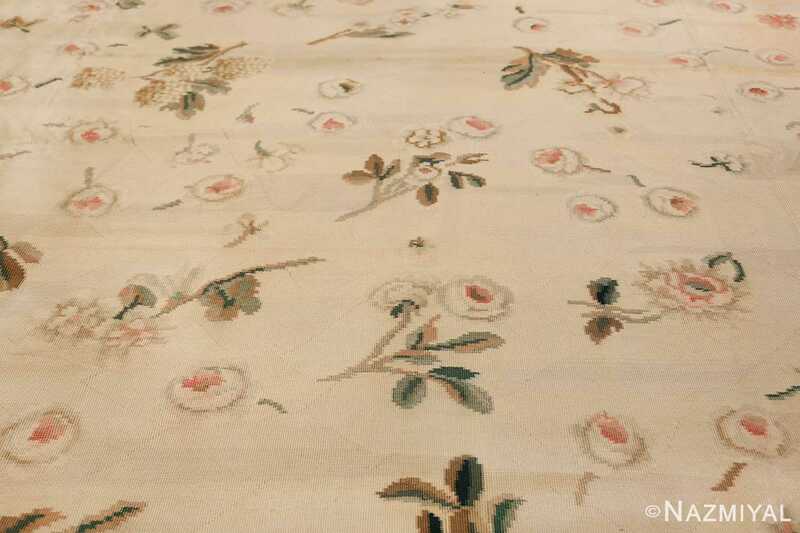 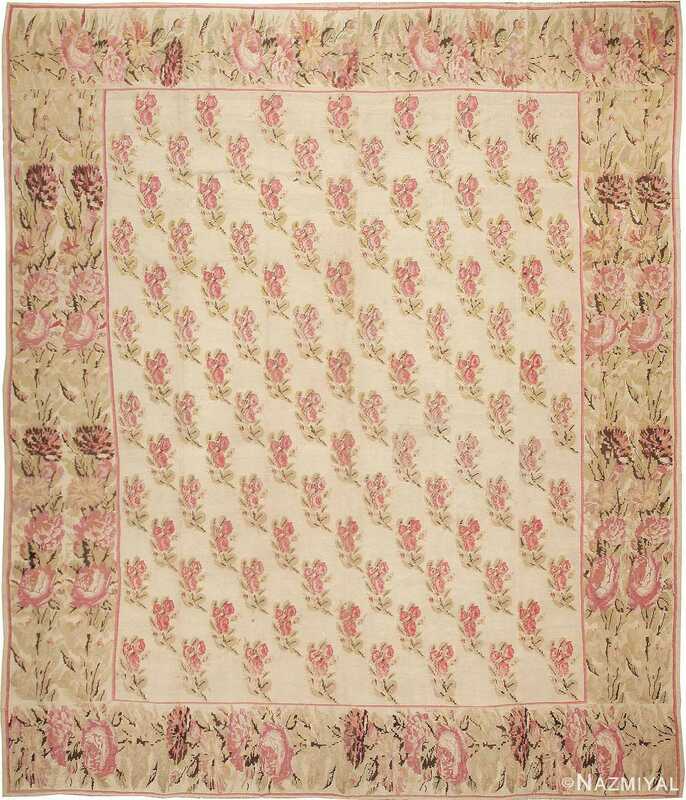 The random arrangement of the flowers at the core of the antique rug makes the layout appear even more natural, as though the leaves were carried by a wind and gracefully strewn about the surface. 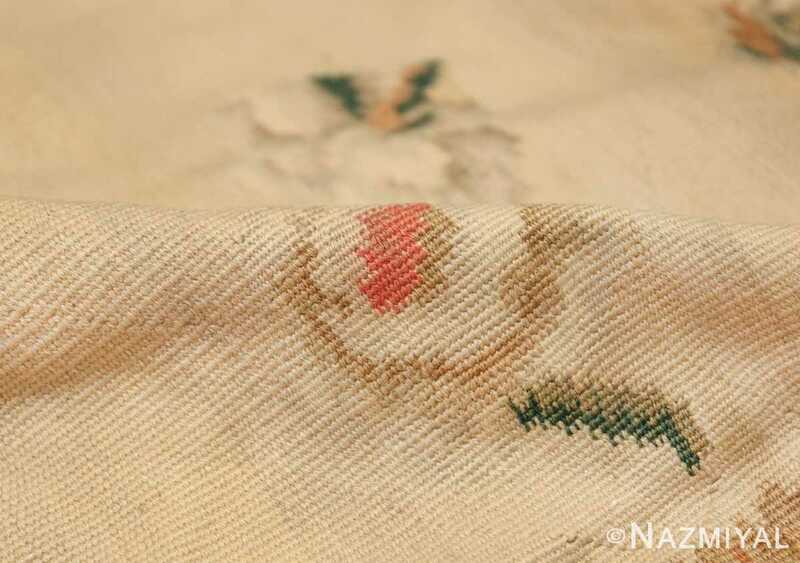 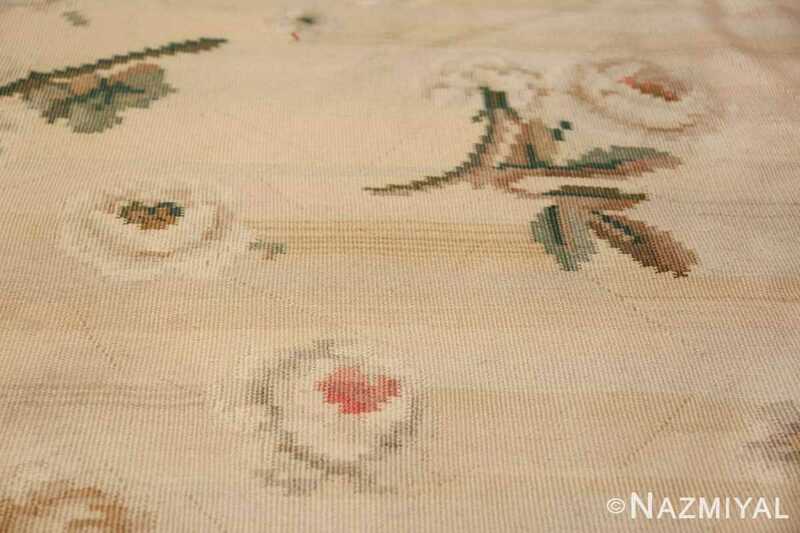 This elegant antique Bessarabian kilim carpet from Roumania is inspired by classic French Aubusson tapestry.